In a game that featured four ties and 10 lead changes, USD closed it with a 9-0 run for a win over Portland, 63-52, on Thursday at Jenny Craig Pavilion. 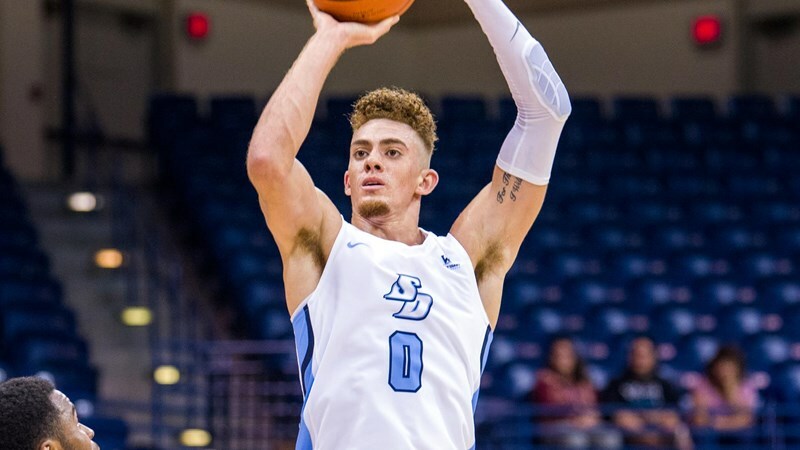 The win was a much-needed one for the Toreros (17-11, 6-7 West Coast Conference), which was coming off a three-game losing skid — one of which was against Gonzaga. Portland (7-21, 0-13) fought hard until the end. The Pilots trailed by just two points, 52-54, with a little more than 2 minutes left in the game but Portland didn’t score from that point on. USD senior Tyler Williams made a layup, assisted Isaiah Wright, and about a minute later assisted Olin Carter III with a 3 to extend the Toreros lead. Wright stole the ball with 35 seconds left in regulation and made a layup. A pair of free throws by Finn Sullivan a few seconds later sealed the deal for USD. The Pilots, which was limited to 22 points in the second half — a season low, have now lost 14 in a row. Isaiah Pineiro had a double-double with 22 points and 16 rebounds. Carter added 16 points and Sullivan 11 points and six rebounds for the Toreros. Next up, USD will host St. Mary for its last regular season home game at 6 p.m. Saturday. The Toreros will honor their seniors with a pre-game ceremony.